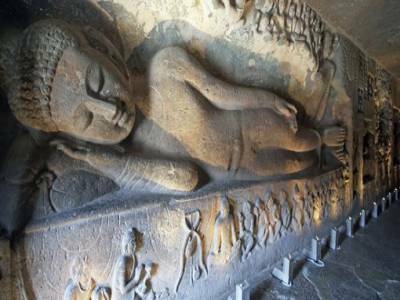 Aurangabad Caves is dedicated to the Lord Buddha, situated few kilometres north of the city of Aurangabad, Maharashtra were rather strangely undiscovered by the Europeans until mid 19th century. There are 12 Buddhist caves in total being divided into three groups. The first group is the westernmost group numbered from 1 to 5. Cave 6-9 forms the second group situated approximately 500m further to the east. To further 1km east is the easternmost cave which includes caves 10-12. Caves 1 and 3 are most probably the oldest excavated in the 2nd-3rd Century AD. 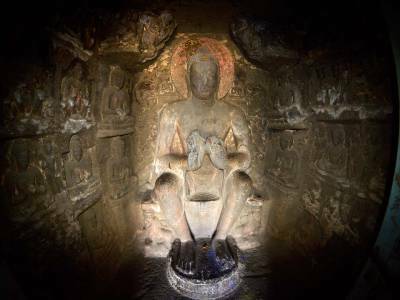 It is said that tantric influences can be found in the Aurangabad Caves. It was not possible to build larger caves for the basalt rock was not ideally fit for carving as their quality were not up to the mark and as there was heterogonous rock formation. Some of the excavations had to be stopped because fractures were reached. Out of the 12 caves, number 3 and number 7 are really splendid ones. 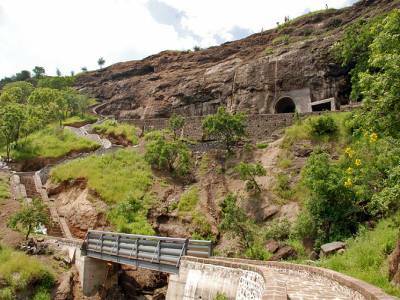 These caves are now well-protected by the Archaeological Survey of India (ASI). These caves are only a few kilometres away from Bibi ka Maqbara which is a popular tourist destination. The majority amongst these caves are Viharas. 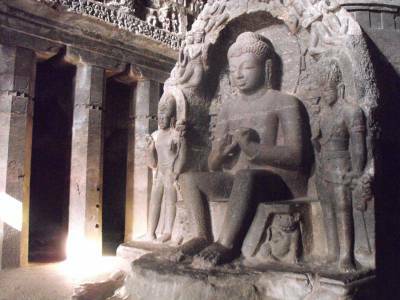 Although there are several attractions of these Aurangabad caves, however, the most notable among them is the sculpture of Bodhisatva. The Cave 7 is the most famous cave having the most elaborate and metaphorical inscriptions. The best time of visiting the princely city of Aurangabad, named after the last of the recognized Mughal emperor Aurangzeb, is between July to March for the winter is mild but the summer can be quite scorching. Aurangabad is nicely connected to other parts of the country by Railways, Airways and Roadways. 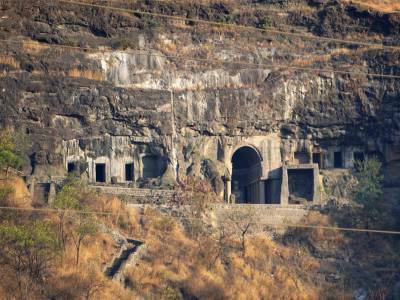 Get quick answers from travelers who visit to Aurangabad Caves.